The best area in Sydney! 5min to Harbour Bridge and Milson‘s Point. One train stop to Wynyard but at the same time next to a park (Milsons Park) and with bay views. And: It‘a a art deco house with only 4 flats and a shared garden where we usually sit, have a barbie and look at the Harbour Bridge and Milson‘s Park. My most favorite area in Sydney. ✅🏠 A Room for rent ( $270pw , furnished , share - clean modern shower facilities ), available now for a responsible junior person (access to the room by a few stone steps...). Photos of common Bar -BQ area, share balcony and etc... showing in this F./ Mate . com site :). 3 minutes from here , Local tiny sandy Beach with picnic area , and you will walk pass beautiful gardens of Australian Prime Minister’s Resident and Governor G.’s Houses ( in case you need them )) , then go down to the Iconic Harbour walk all around Harbour ... lot’s more still to surprise you! 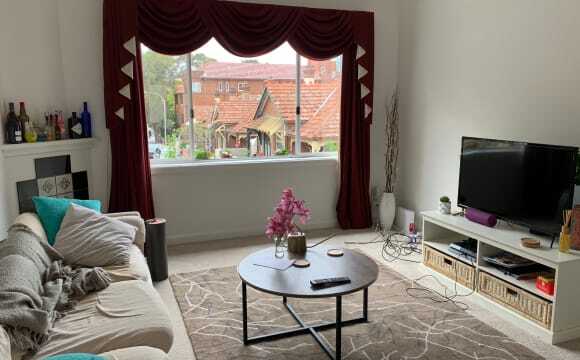 ✅ Available from 19th , April, it will be a good discovery for someone - young , who is a responsible junior person to join our lovely community ( boutique block , filled with Ernest - Europeans, Aussies and interesting others residents :) . 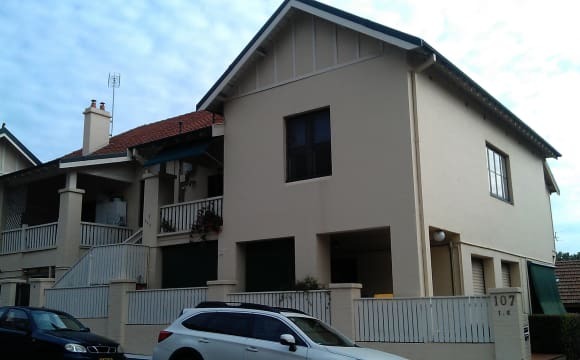 ✅Ultra convenient location, just 4 minute walk to vibrant Kirribilli village shops, cafes, wine bars ,and great restaurants, Woolworth super market, delis.. Pop in to the local sailing club for a cuppa and a meal, or catch a live show at the nearby Ensemble Theatre. ✅Enjoy the convenience of being a short stroll to all transport links - bus, train and ferry. Alternatively, take a walk over the Sydney Harbour Bridge(16 min ) to the city, or head in the other direction to a great range of amenities in North Sydney. No matter how hectic life becomes, living here makes it easy to recharge with a walk along the Sydney Harbour foreshore, or a dip at the Olympic Pool leisure complex featuring : indoor/outdoor pool, gym, spa, sauna and sundeck - perfect for lounging while you soak up the incredible views. Please text us if you are genuinely searching for a young, good ( close) neighbours ... Send us some info including: preferred moving date, period of stay plus some background about yourself, these inf ( confidential ) will be important for us to open our hearts for you gladly! References required. 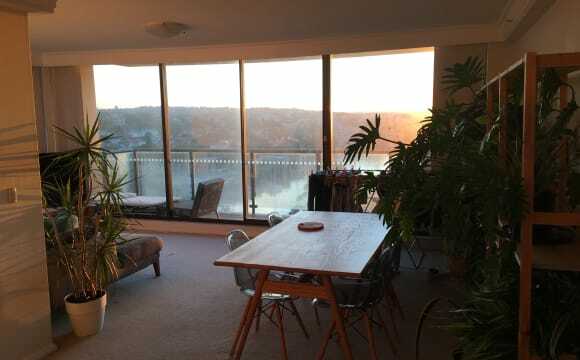 This apartment is stunning with a spectacular view of the Opera House and harbour bridge from all the shared space including a fabulous balcony. The pictures don't really do it justice! I’ve been happy here for 2 years but with 3 bedrooms it’s too big for 1 person so I’m looking to rent out the 2nd room which will leave a spare room as your own occasional lounge if you want your own space. You’ll have your own bathroom with bath and separate shower for the majority of the time, just to be shared with any visitors. The room’s available immediately. The apartment’s really bright and airy with loads of built in storage and it stays cool in summer and never get cold. Your room has huge built ins with hanging space and drawers/shelves. It's furnished with a queen bed, bedside tables and a side unit and mirror. It’s a few minutes walk to either the ferry or Milsons Point station so a really quick hop into the CBD or a 35 minute walk over the bridge if you’re feeling energetic. Kirribilli village has loads of nice cafes, restaurants and a few bars so plenty going on. The Olympic pool and Luna Park is about a 10 minute walk away. I have unlimited broadband with Fetch TV including Optus Sport and Netflix. We share a laundry with the other 2 apartments on our floor. This is a cozy, clean and welcoming apartment with lots of light on the second/top floor of a small apartment block of 4 units. The unit feels quite spacious with a separate dining room and living room. The entry and dining room have wooden floors where the bedrooms and living room have new carpet. There are built in wardrobes in both bedrooms. The kitchen while small has loads of storage, a stovetop/oven and a fridge. There is an external washing line and laundry room where I store my washing machine, which you are welcome to share. 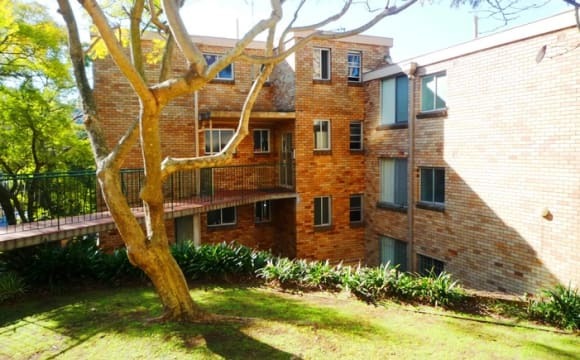 This apartment is well located within 5-10 minute walk from both Milson's Point Train Station and Ferry Wharf. Within walking distance, there are many local restaurants, cafes, bars and pubs, grocery stores and other amenities such as Luna Park, Wendy's Garden and North Sydney Pool. 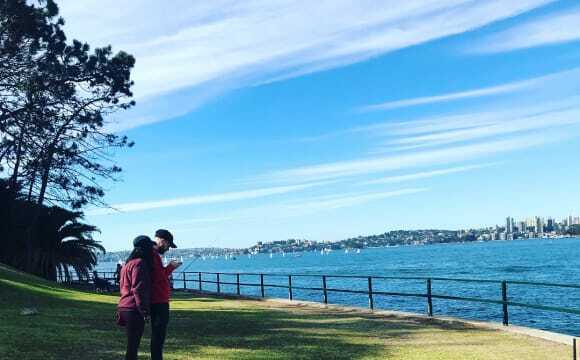 At the end of our road there is a lovely park with panoramic views of the water, the harbour bridge, and the opera house, a great spot for a picnic or a workout. I don't smoke and will not accept smokers. There's no off-street parking, but you can apply for a parking permit for a fee. The apartment has just recently been renovated. It's clean, freshly painted, and everything works! We've comfy couches, a great telly w/ Chromecast, and some books for you to read. We are right on the harbour, where you can watch boating squadrons over a coffee in the Flying Bear cafe. Plus, we are a five minute walk from the Harbour Bridge - often we can be found chilling under the bridge having beers on a sunny day. Available for viewing from 6 Apr! Please message or text! This is a charming, light-filled flat with a beautiful leafy outlook. The master bedroom is spacious (4.2x3m) and has big windows. This unique apartment features kitchen with gas cooking, washing machine, a nice big kitchen and a spacious living room. 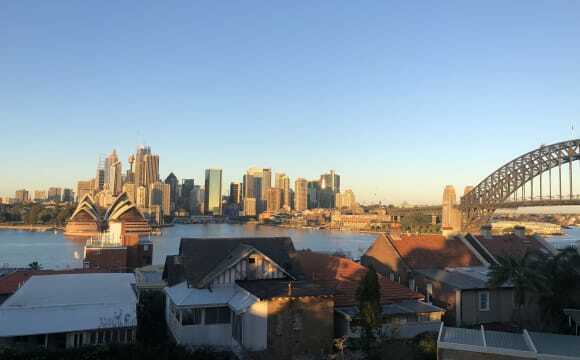 The location is 5 minutes from Kirribilli Wharf and about 7 minutes walk from the station with easy access to all the Harbour Stops or the North Shore Line. Its also an easy stroll to the newly opened Kirribilli shops (Woolworths Metro, QE Foodstores), wonderful cafes, restaurants and bars. The boutique building has only 6 units and is solidly built in the 1970s featuring double brick walls and high ornate ceilings. 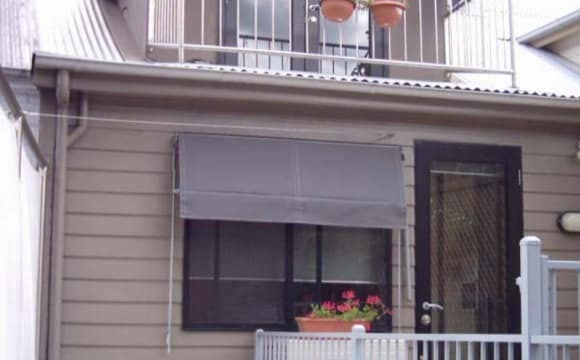 It is warm in winter and cool in summer, and also quiet as it is located at the back of the road. There is a storage cage for our unit included in the common area of the flat. 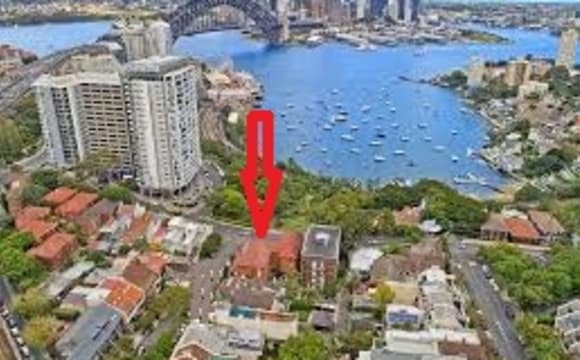 KIRRIBILLI: Cosy, whole fully furnished and renovated two-bedroom apartment available with high ceilings on top floor (three storeys above ground level with lift) in 110 year-old historic building on absolute harbour waterfront. Large balcony has a peaceful suburban outlook over a leafy cul-de-sac ending at a park. The full, postcard view of the harbour from the private garden is the best location in Sydney for the NYE fireworks! Central location. Quiet neighbourhood despite close proximity to the city. On-street parking. 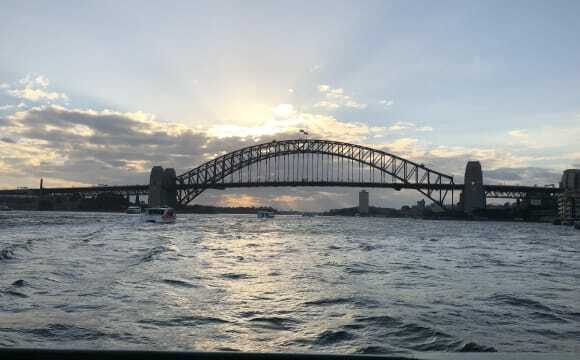 Excellent public transport options all within 15 minutes walk: Milsons Point train station, either of two ferry wharves for a five-minute ferry to Circular Quay, and multiple bus routes. Excellent amenities in the local village—cafes, groceries, cashpoint/ATM, dry cleaning and post office. Furnishings include queen-size bed, large leather lounge, modern refrigerator, microwave, laundry facilities, and large flat-screen TV. This furnished two-bedroom with two bathrooms apartment is positioned on level 14, has a spectacular view of harbour. Perfect location, only two minutes stroll to the station. Close to Milsons Point Ferry Warf, North Sydney Olympic pool. Great cafe downstairs, few minutes’ walk to Kirribilli cafe and restaurant, Woolworths metro, North Sydney or even Sydney CBD! Once you see the apartment you will love it! The place is full furnished, and the rent will include bills for electricity, gas and the Internet. Some features you might want to know: -	Furnished double bedroom with build-in wardrobe, the room has access to the balcony -	Second bathroom is all yours (I will have the en-suite) -	Big sunny balcony with stunning views -	Level 14 -	Open plan living &amp; dining -	Carpet floor -	Laundry room -	kitchen with modern facilities -	Bill is covered including the Internet, electricity/gas -	Security building with concierge available during business hours I’m in my late twenties, full-time workers in higher education industry. I am easy going, very organized, tidy and independent. I enjoy gym, guitar, music, reading and healthy lifestyle. Looking for a friendly, clean, easy going and respectful flatmate. Prefer non-smoker as I’m allergic to smoke. Prefer someone who also works from Monday to Friday, with no much cooking. If you think you would be a good fit, please leave a note and we can organize a time to come in and meet in person. 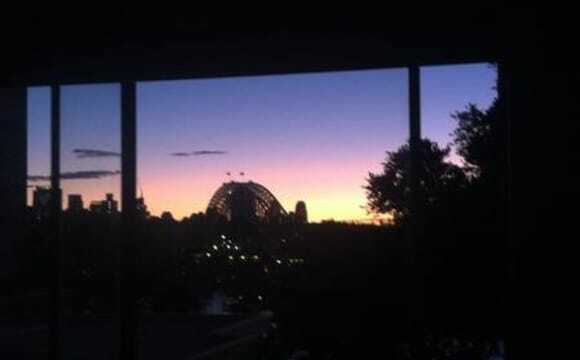 Close to harbour, city, Sydney, North Sydney, Neutral Bay, Kirribilli, Mosman, Crows Nest. 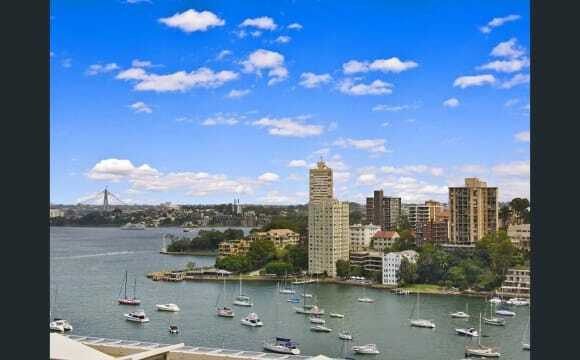 Open and spacious apartment located at Kurraba Point - 9 mins by ferry to Circular Quay (City) in morning from Kurraba Point, 16 mins coming home. 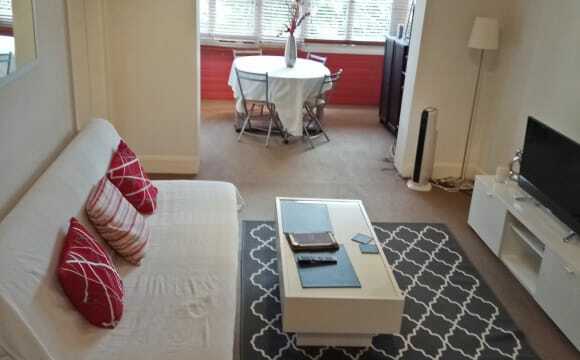 - Very close to bus services - 4 mins to Military Rd (Neutral Bay Junction) by bus - Short walk to various cafes, restaurants and shops - Harbour Bridge views from your bedroom - Kitchen is fully equipped with oven, electric cook top, dishwasher, microwave, kettle, toaster, refrigerator, blender, all utensils etc. - Washing machine and Dryer access - Built in wardrobe - Garage - Room is quite large with large window and inbuilt wardrobe (in the picture its the one with the two single beds - now unfurnished). Looking for a couple of flatmates for my new place. It is a 3 bedroom townhouse and I am looking for two individuals for 2 rooms that I have at my current place. The house is located in north Sydney and close to Milsons Point Station (7 min walk) as well as North Sydney Station (approx. 10 min). The house is located in a quiet area. It is a close walking distance to two parks if you wish to go for a run or play any sports. Nice front garden and off street parking. You are able to get a permit from the local council There is a laundry room and bathroom as you enter the house and then the rooms are located on your right. Both the rooms have bed and you can choose to get other furniture as you please. Room 1 has a queen size bed and a mattress and very spacious. It has glass windows and gets plenty of natural light during the day. It is fully carpeted and has high ceilings and pillars on the left hand side of the windows that adds character to the room. (Pictures show below) Room 2 is the biggest room in the house and it also has a queen size bed but no mattress. You are more than welcome to get one as people prefer to have their own sometimes. Alternatively I can try and arrange something. There is a beautiful fire place in the room and a mantle. It is very spacious and again it is fully carpeted. It shares its windows with Room one and also has huge windows and high ceilings (Refer to pictures) The house then flows through to the lounge and the kitchen. The lounge also consists of a fire place and a L shape white leather sofa. There is Foxtel available in the house and in the process of getting NBN. The kitchen is very spacious and I am in the process of getting a table so there is a place for us to eat. It has French doors and two large windows surrounding the room so plenty of sunlight in the morning. The rooms are different prices as they are different in size. Room 2 is extra-large and therefore priced at $360. Room 1 is $340. The rent is exclusive of bills. 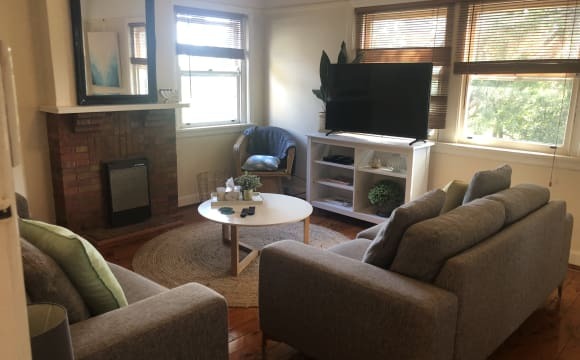 Furnished room in Cremorne Point. You’d be living with two easy going girls. Beautiful location on Sydney harbour, and a great spot to walk/run, or enjoy the community pool. Quiet neighbourhood, 10 min drive to Sydney CBD. 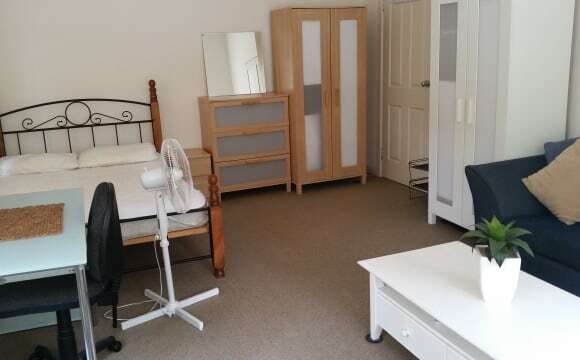 The room is fully furnished, as is the rest of the apartment, it's move in ready. Built-in wardrobe with mirror doors and hard wood floors throughout. The mattress in the bedroom was bought in 2018 from Harvey Norman and is still like new. Easy street parking is available. I am flexible on move date and length of stay. Unlimited wifi included, quarterly power bill is separate. Location and transport: There is a ferry on the point and bus stop right outside the house. The ferry from Cremorne Point direct to Circular Quay is a 15 min walk, or 5 min if you get the bus down there. 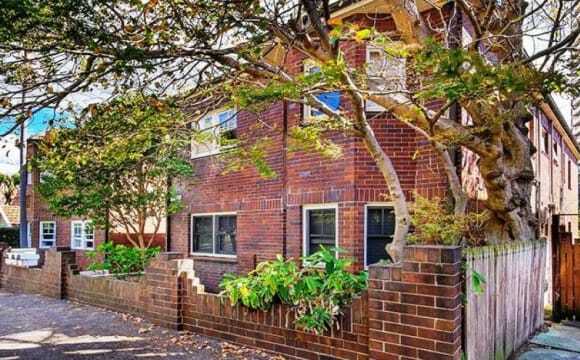 Walking distance to Neutral Bay shops. The closest trains are North Sydney and Kirribilli/Milsons Point which are both 5 min by car (you can also get a bus to them, 30 min walk or $9 Uber).